Mark McEntire, who teaches at Belmont University (and blogs here), is the author of A Chorus of Prophetic Voices, a wide-ranging and interesting introduction to the prophetic literature of the Hebrew Bible. In the first pages of the book, he gives a brief history of how scholarship has approached these prophetic texts over the last century in order to give some context for where his work fits into the conversation. However, he also points out that this approach had shortcomings, including the undermining of the unity of larger prophetic works into smaller, isolated pieces as part of efforts to devise hypothetical reconstructions for how these books were compiled into their canonical forms. McEntire’s A Chorus of Prophetic Voices takes an integrative approach to these past efforts, weaving together both historical-critical and literary-canonical methods, while also paying attention to more recent contributions like trauma studies, which have reemphasized the the brutality of the historical events that the prophetic literature was born out of. The prophetic books of the Hebrew Bible introduced by McEntire are composed of four main collections: Isaiah, Jeremiah, Ezekiel, and the twelve prophetic “books” known as the Book of the Twelve (also termed the Minor Prophets) (p.7). All together, these four scrolls are known as the Latter Prophets, which balance out the four scrolls known as the Former Prophets: Joshua, Judges, Samuel, and Kings. McEntire devotes most of his book to exploring how each of these scrolls were formed in the midst of and responded to the three major crises of Israel’s history: the Assyrian Crisis of the eighth century BC, the Babylonian Crisis that culminated in the destruction of Jerusalem in 586 BC, and the Restoration Crisis of the sixth and fifth centuries BCE (pp.11-13). 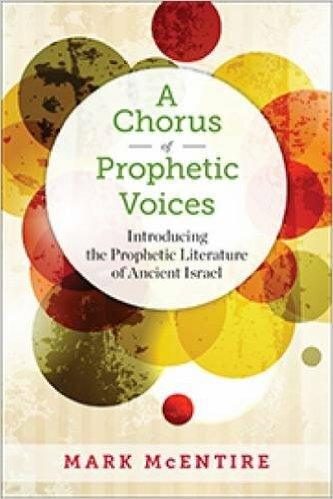 McEntire seeks to listen to the full “chorus” of voices found in each the prophetic scrolls as they grapple in their distinctive ways with the pressing theological questions brought about by and considered in light of Israel’s experiences. The responses formed by the prophets are sometimes complex. McEntire explains that even though Jeremiah and Ezekiel often place blame on the inhabitants of Judah and Jerusalem for their punishment and exile during the Babylonian Crisis, “the two prophets frequently agonize over these events, weighing degrees of responsibility and punishment, while portraying the horror of the invasion in graphic ways that Isaiah never approaches” (p.210). It is often the prophets themselves who suffer most as a consequence of their faithfulness to the call placed upon them by God. One of the redemptive theological consequences of this, in McEntire’s eyes, is that, “Through the work of suffering, they switch the identity of the afflicted one from the guilty party being punished by God to the faithful ones who suffer because of their loyalty to YHWH” (p.23). Most readers will probably be able to heartily affirm the central claim of A Chorus of Prophetic Voices, which McEntire declares is that “we should read prophetic scrolls together in a way that also recognizes and gives attention to the individual voices within the scrolls” (p.203). His collapsing of the historical-critical and literary-canonical dichotomy is a welcome move. As a Christian reader, I can affirm that there are many places in Israel’s Scriptures where the voices of the prophets can be interpreted to be pointing towards or prefiguring the life and words of Christ, but it doesn’t seem to me that this interpretative move necessarily has to be done at the price of denying that the prophets of the Hebrew Bible also had something to say to God’s people in their own day. In conclusion, McEntire takes readers of A Chorus of Prophetic Voices on a journey into the life of the Hebrew prophets, showing how these sometimes disparate writings, which arose out of historical circumstances hundreds of years apart, come together to make a chorus of inspired voices participating in sacred conversation, grappling with what it means to be faithful as God’s people in the world even in the midst of sometimes radically changing circumstances. Even in areas where readers may disagree with McEntire’s approach or conclusions, his words are thought-provoking, and best of all, invite people to dive once more into the prophetic texts themselves. I recommend it. *Disclosure: I received this book free from Westminster John Knox Press for review purposes. The opinions I have expressed are my own, and I was not required to write a positive review. This entry was posted in Book Reviews and tagged Book Reviews, Mark McEntire, Old Testament, Prophetic Imagination, Prophetic Literature, theology, Walter Brueggemann by joecrow91. Bookmark the permalink.